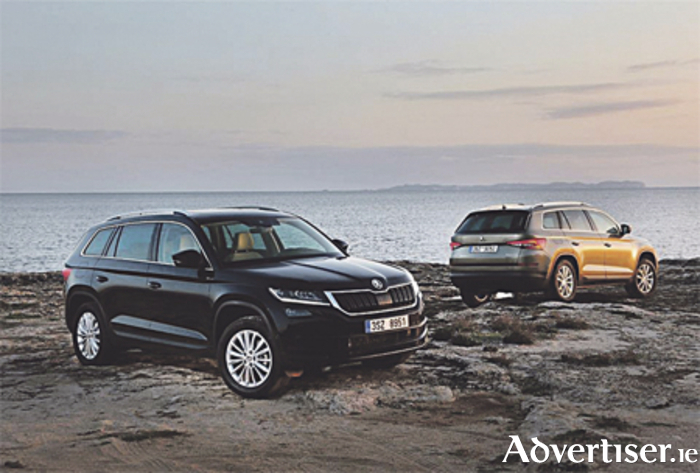 The much-awaited Škoda Kodiaq will be making its way to Michael Moore Skoda in Athlone for a special preview from January 26, 27, 28, and 30. The Kodiaq will be the first large seven-seat SUV offered by Škoda and offers an impressive combination of powerful design, generous space, great functionality, state-of-the art assistance systems, and innovative connectivity solutions. Speaking about the upcoming preview event, Michael Moore said: “It’s rare that we see such excitment about a new car but the buzz around the arrival of the new Kodiaq already has been unbelievable. We’re really delighted to be able to offer the people of Westmeath the chance to get up close and personal with the Kodiaq in advance of its launch to the Irish market in March and I’m quite certain they will be impressed. The Kodiaq offers a spacious interior and possesses the largest boot within its class with a volume of up to 2,065 litres. The Kodiaq also includes more than 30 simple clever features that offer practical and convenient assistance to everyday life. These include split folding and length-adjustable rear seats as standard, the optional third row of seats, door-edge protection, electric child safety locks, and the much-loved Superb model feature of Škoda umbrellas fitted to the front door pockets from the mid-spec Ambition model. For further information visit www.michaelmooreskoda.ie or contact Keith or Eamon on (090 ) 6403555.